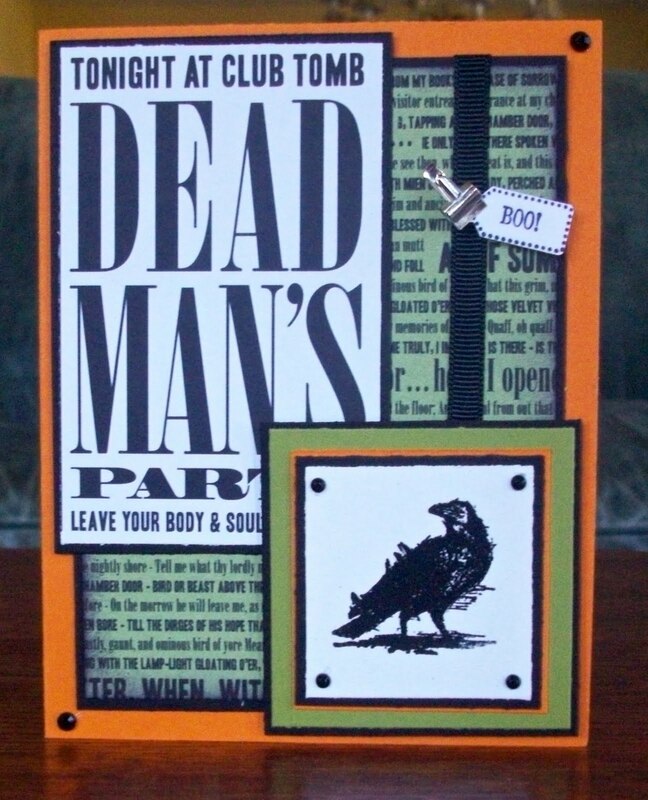 The Shabby Stamper: Dead Man's Party! I took the sentiment from a sheet of the Nite Owl ds. The raven image is embossed with black detail ep. I was trying for a more shabby look -- which clearly didn't work! -- but like this more graphic feel.